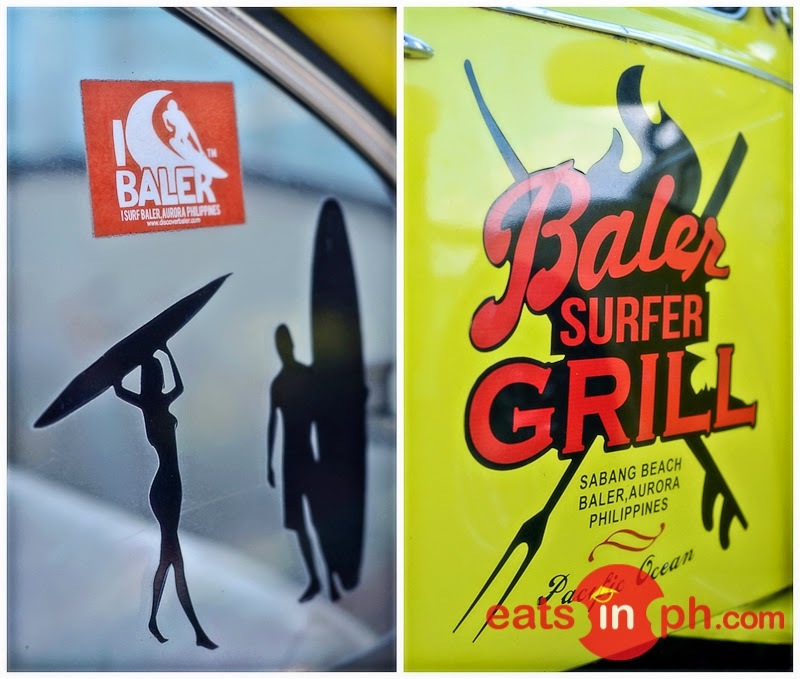 Dubbed as "Baler's Ultimate Grilling Sensation," Baler Surfer Grill is a simple outdoor dining venue along Sabang Beach in Baler Aurora that serves interesting dishes that will surely satisfy your cravings for good food. 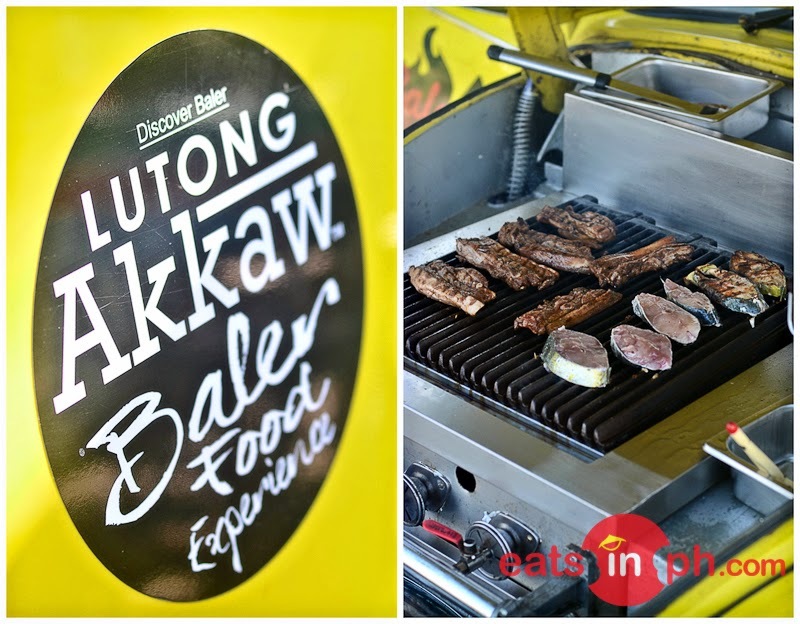 Set on a lovely space fronting Sabang beach, it offers diners with an daunting ambiance of a nipa hut, tall coconut trees, surf board decors, a few wooden chairs and accompanied with great music. 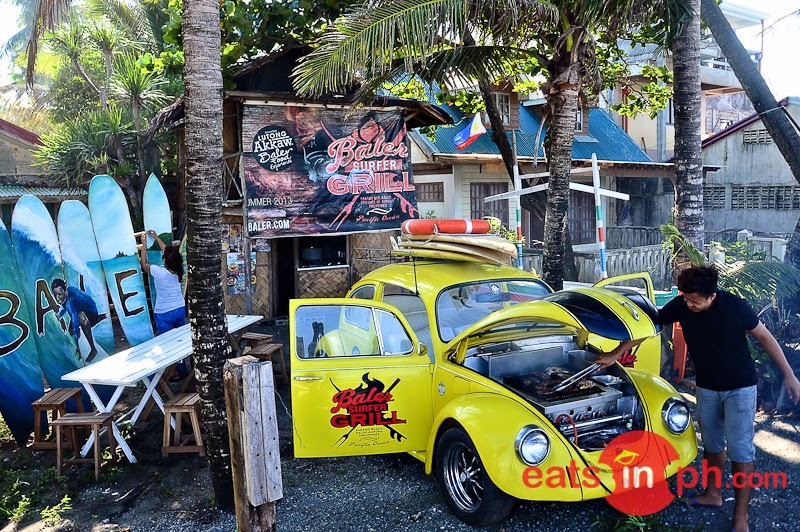 The "star" of the restaurant is the Volkswagen beetle car that was turned into a grilling station where the meals are cooked. How cool is that? 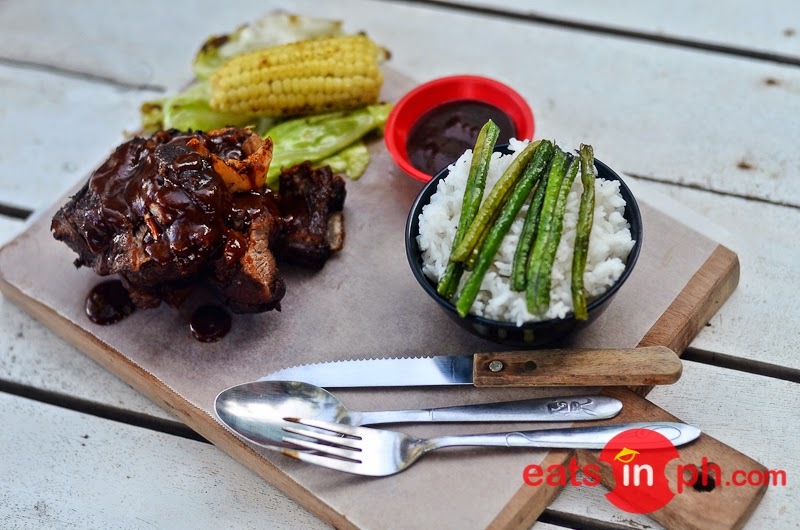 Dishes are served in a very appetizing and interesting presentation using a wooden chopping board as plate. 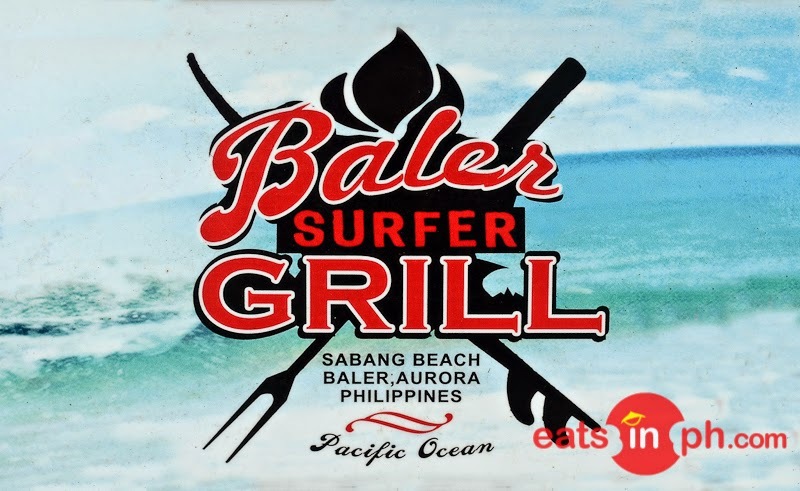 The full set meals aptly called Surfer Meal-PRO costs 200 pesos each is definitely worth it as it is really huge and very filling. The best thing is you get to eat it by the beach!